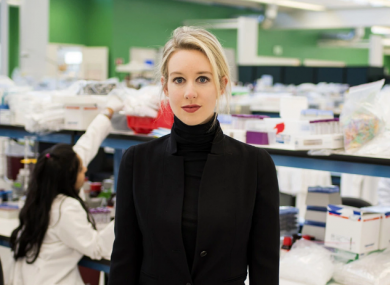 Elizabeth Holmes’ name has been back in the headlines in recent weeks thanks to this HBO documentary airing in the US. The doc investigates the rise and fall of Theranos, the one-time multi billion-dollar healthcare company founded by Holmes. If you’ve never heard of Elizabeth Holmes before, prepare to be totally engrossed in her story. The new series continues on BBC tonight with a special episode focusing on the delicate issue of the #MeToo movement. The topic gives legendary host Partridge the chance to show off his years of experience. There’s also a special live performance from Alan’s very own acapella group, Quavers. The first episode of the series introduces us to the world of the 30,000 women in prison in the US serving lengthy sentences for murder. The series aims to give insight into the women who committed these crimes and the reasons why they did what they did. The trailer for the live action Dora The Explorer movie is finally here and it’s giving us our first look inside the new world of the famous character. The near-three minute teaser shows Dora heading off on a new adventure - to high school. But it’s not long before she finds herself right in the middle of the action, along with three of her new classmates. Aside from the storyline, the movie boasts a fairly impressive cast including Michael Peña, Eva Longoria, Danny Trejo and Benicio del Toro. The movie is due for release here in Ireland on August 2. Say Yes to the Dress (RTE One, 8.30pm) Franc and the team are back to help three new brides find the perfect dress but in a very short space of time. Fleabag (BBC One, 10.35pm) The popular comedy show continues as the priest takes Fleabag for some quiet reflection. Mary Berry’s Quick Cooking (BBC Two, 8.30pm) Sweet Mary is heading to Marrakesh to enjoy the very best of Moroccan cuisine. Made in Chelsea (E4, 9pm) Series 17 of the show premieres tonight and there’s a new face here to cause trouble. Meet the Parents (Sky One, 9pm) This film is nearly 20 years old and still as funny as ever.